Something (such as a situation or set of conditions) in which something else develops or forms. We live on a lake in northeast Texas. The house next door is a vacation home and our next door neighbor lives and works in Dallas. Besides coming out for a weekend now and then, he loans his house out to family and friends from time to time. Shortly after I got back from the Matrix Ministries mission trip to Central America our neighbor’s college roommate ” Mike” came over. Mike told us he was going to be staying next door for a few days. As we stood in the yard and talked, Mike learned where I had been. Mike asked me if I could tell his children about the trip because as they entered their teen years he wanted them to learn about how God wanted them to serve others. During the visit when I talked about the trip, the kids saw the soccer ball picture among the other pictures I had taken. 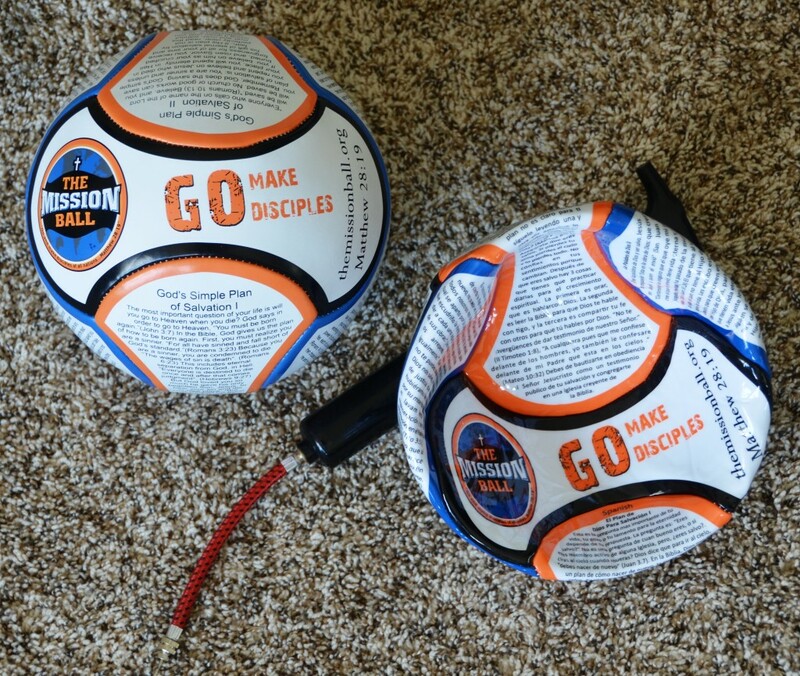 As a result of that picture, the children brought us a half dozen soccer balls with scripture on them. Two of the balls have the plan of salvation in English (ball on left). The rest have the same text in Spanish (ball on right). They asked me if I could help them get these balls distributed in Central America where someone might play with the ball then read the message and learn about God’s love and the sacrifice that Jesus made for us all. Matrix – Something (such as a situation or set of conditions) in which something else develops or forms. Trust me when I tell you that when Matrix Ministries was planning a mission trip to Costa Rica and Nicaragua, our scope didn’t include reaching the children of my next door neighbor’s buddy from when he went to college in Eugene, Oregon decades ago. This was something else developing or forming. We didn’t have a plan to include a talk on the responsibilities of Christians to serve and not just take up space on a bench at church. Our plan never included taking a picture of a soccer ball, having strong emotions about the contrast in the use of soccer balls in Plano, Texas and Costa Rica, or even anything related to soccer balls in any way. Again, this was something else developing. This was part of God’s matrix. The scope included Matthew 28:19, but not like this. Not even close. I never considered sending the salvation message on a soccer ball as a result of a photo of a dilapidated ball laying in the dirt at a remote site on a Cabecar reservation in the jungles of Costa Rica. I couldn’t have gotten there on my own, not even close. We didn’t discuss or even think about including five children from Plano, Texas in this effort that will likely change lives in a way that lasts forever. And now I find myself pondering what God is planning to do with this ministry that David, Joshua, Makayla, Makenna and Emmakate are involved in. 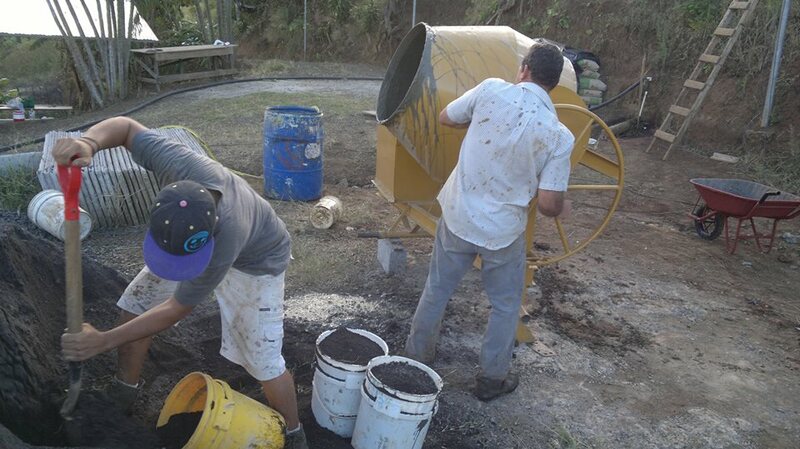 As soon as I get these balls into the hands of the folks who we’re working with in Central America, I’ll be done, but I’m confident that God won’t be. What is the next something that will be developing or forming in God’s matrix? How many kids like the one pictured in the last post will be changed forever? If you aren’t actively involved in the work of God’s matrix, you are missing SO much!